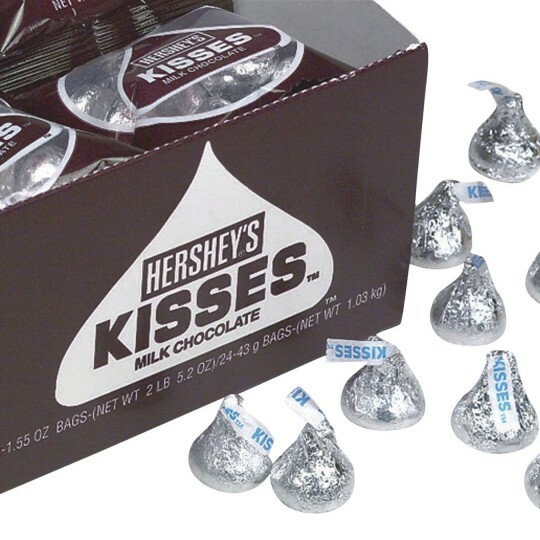 Display box has 24 1 1/2 oz bags each with 10 Hershey Kisses. we do a gingerbread house night with our students and parents we use the kisses for the activity. We use this product at our token exchange store the Residents buy this product with their bingo tokens.